Dairy-free frozen desserts have come a long way. Just a decade ago, there were only a few pints hidden in the frozen food department of expensive markets. Now, there are entire chilled sections dedicated to non-dairy delights in many natural food stores and some conventional grocers. The question has shifted from what dairy-free ice cream is available to which one you should try first! So what is the best dairy-free ice cream? To find out, we’ve sampled our weight in store-bought dairy-free frozen desserts and think that the following deserve your attention. 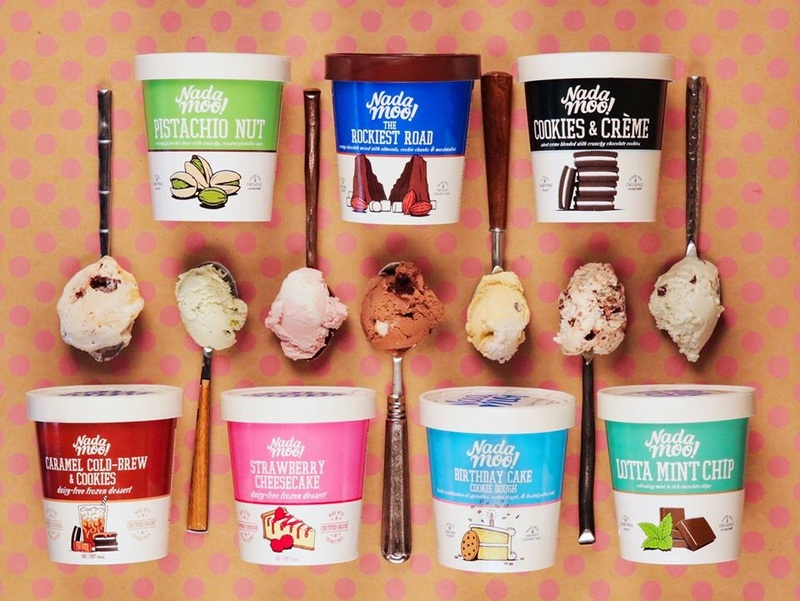 These are the ten best dairy-free ice cream pints that we’ve tried to date, plus a bonus! These are the unbiased favorites of our tasting staff and many of our readers. Feel free to read the full reviews that I’ve linked up to for more details. And don’t hesitate to leave a comment sharing the best dairy-free ice cream in your opinion! Standing apart from the pack, this indulgent ice cream producer doesn’t use a single dairy-free base for every flavor. Instead, they fully customize each flavor individually. For example, the Peanut Butter Chocolate Fudge is made from ground peanuts – no almond, coconut or soymilk added. The result is pure bliss. It’s richer and has the most “grown up” indulgence of any brand we’ve tasted. See our full review for ingredients, availability, and more information. Key Dietary Notes*: Depending on the flavor, you might find wheat, soy, peanuts, or tree nuts in the ingredients. But they are all egg-free and vegan. 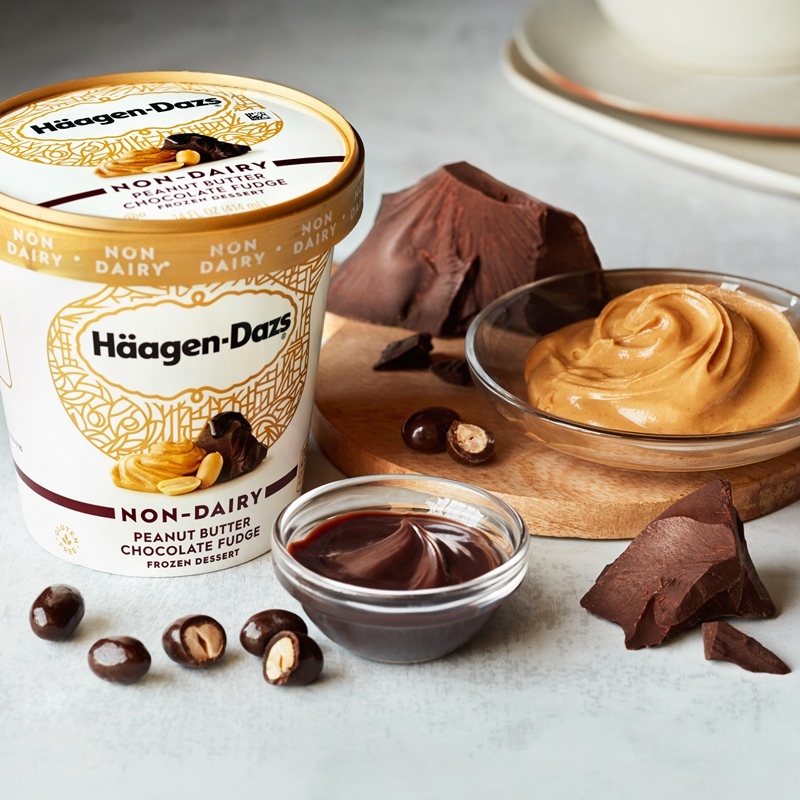 Special Note: Don’t get confused if you see water as the first ingredient on Haagen Dazs Non-Dairy. Technically, most ice cream contains a lot of water. 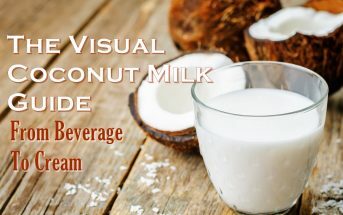 Even coconut milk and dairy cream are usually made up of more water than fat. But with Haagen Dazs, the ingredients are fresh ground, so the water is listed separately. When their Cashewmilk pints landed on the market, it was a game changer for dairy-free consumers. After years of coconutty ice cream, this dreamy line emerged with a more neutral base flavor and unbelievable decadence. Even die hard dairy ice cream fans have trouble turning down a scoop of these varieties. See our full review for tasting notes on select flavors. Key Dietary Notes*: Depending on the flavor, you might find other tree nuts in the ingredients. They all appear to be certified vegan and certified gluten-free. 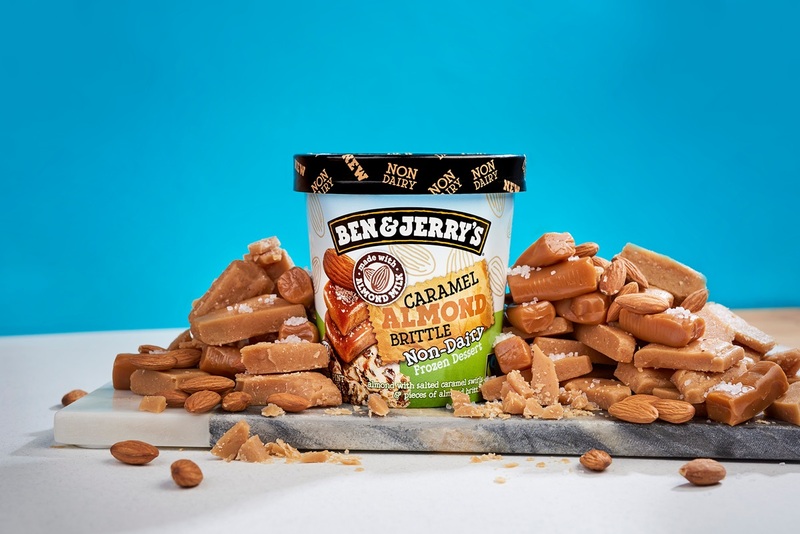 Like all Ben & Jerry’s ice creams, their Non-Dairy line is over-the-top. It includes several riffs on their most popular classic flavors, like Cherry Garcia, Cinnamon Buns, and Chunky Monkey. But they’ve also whipped up a couple “non-dairy only” pints like Coconut Seven Layer Bar and P.B. & Cookies. But be sure you are prepared for a flavor rush. These are very sweet pints that often contain dessert within the dessert. See our full review for tasting notes on some flavors. We’ve seen several ice cream shops release pints, but Nadamoo started with pints, and has now opened their first ice cream shop. If you can’t make it to Austin, Texas, just head to your local grocer. In all likelihood, they’ll have at least a few fun Nadamoo flavors in stock. It is coconut-based, with hints of coconut in most of the flavors. 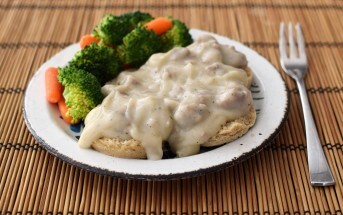 But they get quite creative with the flavors and always boast a very creamy consistency. See our full review for tasting notes and more information. Key Dietary Notes*: Depending on the flavor, you might find tree nuts in the ingredients. But they’re all certified vegan and certified gluten-free. I believe they are also soy-free. Known for its purity, this coconut-based ice cream line has an ingredient list that reads like homemade. They also have a big flavor selection that focuses on quality ingredients and creamy indulgence. In fact, this is one of the few certified organic brands. For tasting notes and more information, see our full review. Key Dietary Notes*: Depending on the flavor, you might find tree nuts in the ingredients. But they all appear to be soy-free, vegan, and certified gluten-free. Technically, our first choice would be Dream Gelato, but they’ve sadly discontinued those pints. 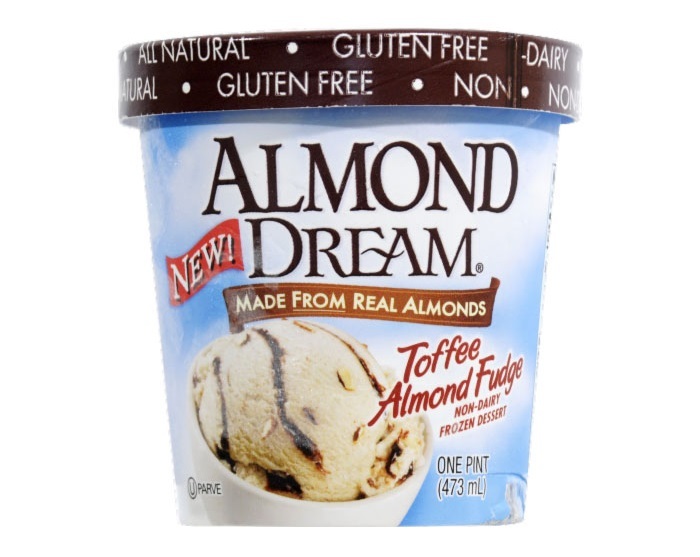 Almond Dream is the next best thing (both are almond-based), and we think some of their flavors just edge out Breyer’s in the almond category. But Rice Dream and Soy Dream didn’t come close to our top picks. We recommend keeping it nutty with this brand. The one caveat is that this brand does contain carrageenan (Breyer’s does not, but Breyer’s is sweetened with corn syrup). Key Dietary Notes*: They are all egg-free and vegan, and they appear to be made without soy, wheat, and coconut. This could be the original dairy-free ice cream brand, or at the least, it’s one of the first. And unlike many other brands that have come and gone, this one has persisted. Because it’s pretty darn good. It’s one of the only soy-based options left, and yes, they use non-GMO soy. They also use RSPO certified palm oil. But if you are looking for the most virtuous ingredients, I would move on. If you just want some straight up dessert, this brand is worth a taste. I think it’s the addition of cocoa butter that helps them nail a good consistency and flavor. See our full review for more information. Key Dietary Notes*: Depending on the flavor, you might find wheat or tree nuts in the ingredients. But they are all egg-free and vegan. 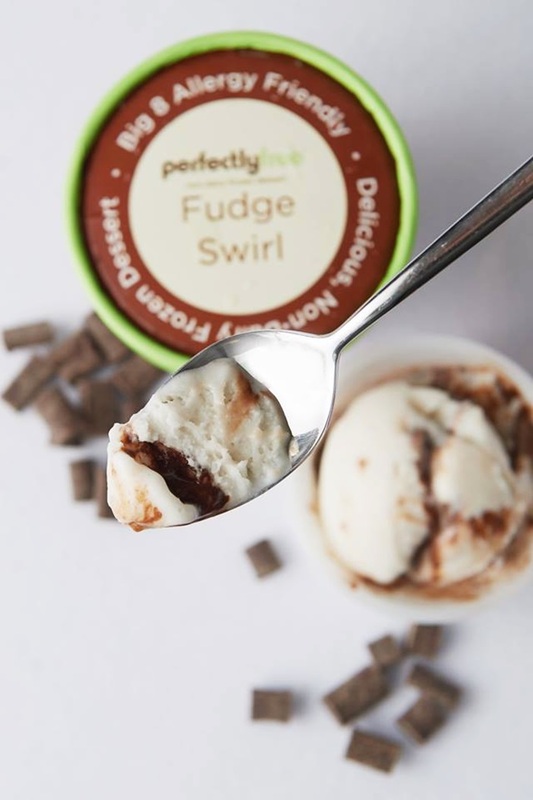 Our best dairy-free ice cream pint list wouldn’t be complete without this rising star. 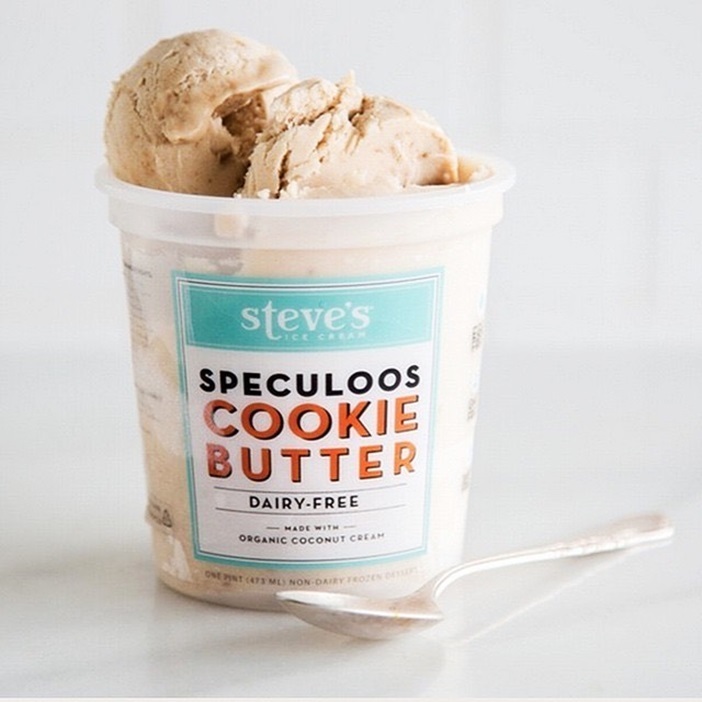 Steve is well known for creating unexpected ice cream flavors, so we were excited when he decided to dabble in making dairy-free pints. They’re creamy, and quite sweet, providing a true dessert experience. Key Dietary Notes*: Depending on the flavor, you might find wheat, soy, or tree nuts in the ingredients. But they are all egg-free and vegan. 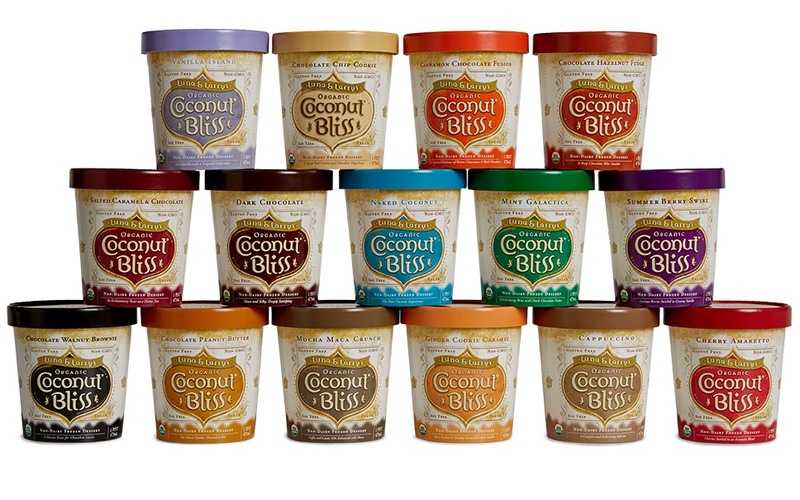 Lighter, but sweet, these pints have a coconut-vanilla base, and are swirled with flavor. This is one of the only creamy, very allergy-friendly options on the market, and everyone agreed – it’s not bad! 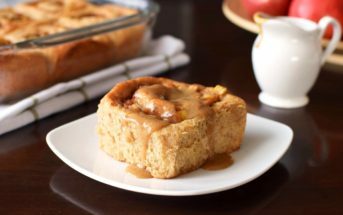 It even inspired this Vegan Blondies recipe. Key Dietary Notes*: This is the one brand that is made on dedicated lines in a facility free from the top allergens, including dairy, eggs, wheat, soy, peanuts, and tree nuts (contains coconut). They are also vegan. This long-time vegan truffle-maker knows chocolate. So it’s no surprise that they’ve cornered the U.K. market on rich, decadent, chocolaty ice creams. They use just 4 to 5 ingredients in each pint, to keep the quality and taste pure. 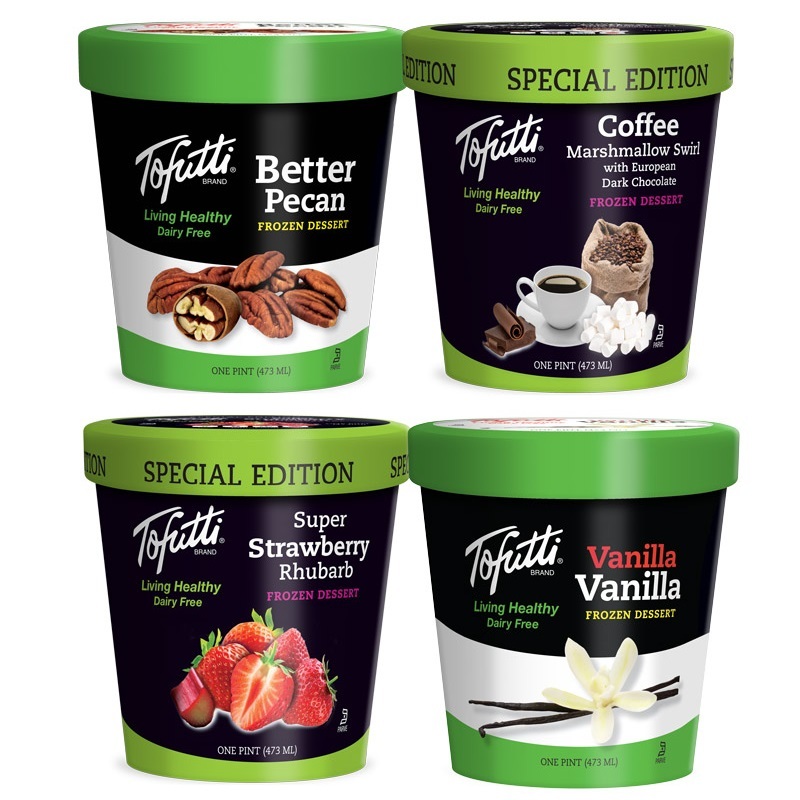 If you aren’t ready to make a full pint investment, you can sample each flavor in their mini single-serve tubs. Key Dietary Notes*: Every flavor contains tree nuts, but they are soy-free, gluten-free, vegan and organic. Special Note: Like Haagen Dazs, water is the first ingredient because the base is ground from cashews, not cashew milk. It’s just semantics with how the ingredients are listed. For the most part, the new lower calorie ice cream trend hasn’t been a big hit for the dairy-free world. Some brands have tried, but the results have been lower than sub par – with one exception. It’s not listed in their “frozen dessert” section, but this really is like a very, very creamy ice cream. It’s fluffier and rivals brands like dairy-based Halo Top for both calories and a luxurious consistency. And we think Halo Top Non-Dairy doesn’t even compare. See our full review for ingredients, availability, and more information. Base: It’s an emulsion with coconut oil and other thickeners. Key Dietary Notes*: They do contain pea protein, which might be problematic for some with peanut allergies. They all appear to be certified vegan and certified gluten-free. 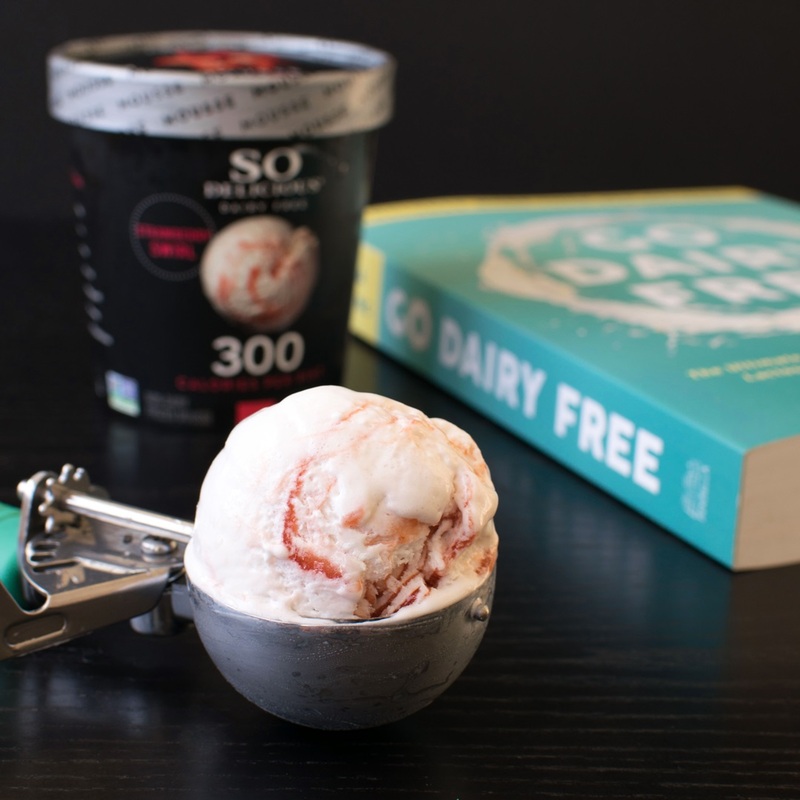 Scoop it up along with a copy of Go Dairy Free: The JUMBO Guide and Cookbook. It includes many homemade dairy-free ice cream and dessert recipes. Know Your Needs! All of the above were dairy-free and vegan by ingredients at last check. But always check the label. Ingredients and processes are subject to change at any time. Also potential cross-contamination with dairy or other allergens is always a concern in product manufacturing. If you are dealing with a severe or sensitive food allergy, always contact the manufacturer to ensure their processes are safe for your needs prior to consumption. What’s Your Favorite Dairy-Free Ice Cream Brand and Flavor? Trader Joe’s vanilla soy ice cream is super yummy. I melt some TJ cookie butter (also vegan) and pour on top for some major indulgence. I’d say cashew milk SO delicious is the biggest game changer in the market because of how creamy it is and how widely available too. Although I’ve only tried a couple of ben and jerries and haagan daaz. A few to check out are Mr. Dewie’s Cashew Creamery & Frozen Desserts & Van Leeuwen (editor note: this is a localized option only)!! They’re the best (most like dairy ice cream) I’ve tried. You left out Trader Joe’s Dairy free desserts, in Chocolate and also strawberry. Can’t Find These? Make Dairy-Free Ice Cream with Go Dairy Free! Hands down the very best vegan ice cream is Trader Joe’s Soy Vanilla frozen dessert with their Chocolate Cherry Chip a close second. I’m not 100% positive but I really believe that Double Rainbow makes their Soy Ice Cream. Whoever, it THE BEST and by ingredient list the healthiest. It is organic and with far fewer chemicals additives than any other brand I’ve seen. And it half the price to boot!! Thank you for sharing this Mary! Yes, I think it is Double Rainbow too. We have quite a few restrictions that make selecting the perfect ice cream a difficult task so I appreciate all the details you included about the brands. We don’t have Perfectly Free here but I really like their frozen bites. And I’d have to say that So Delicious is probably our go-to, but we just have to watch out for nuts. I agree, it’s definitely harder with nut-free. There was one banana brand that was actually quite good. I’ve got to find that one again! This really is a great time to be a vegan ice cream lover! When I first went vegan, the options were on the slim side. Nowadays, I haven’t even tried all of these on your list! My favorite vegan ice cream is Ben & Jerry’s PB & Cookie. Second place would be So Delicious Snickerdoodle. Coconut Bliss Cherry Amaretto was my favorite for the longest time, but I haven’t had it in way too long now. It’s so exciting to see so many new dairy-free ice cream choices! My favorite is So Delicious cashew, I haven’t tried Haagen Daz. That will happen soon! Yes, that does need to happen soon. 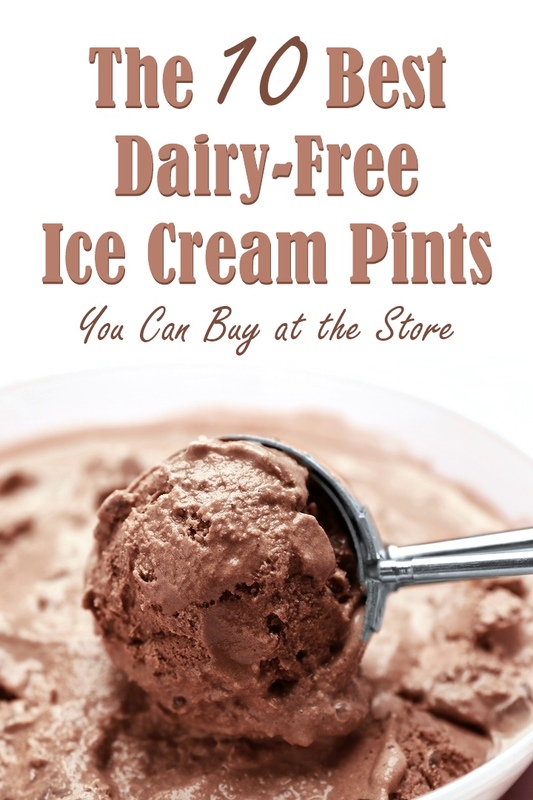 Those Haagen Dazs dairy free pints are epic! Vegan ice cream really has come a long way! I remember when the only kinds I could find were Rice Dream and Tofutti. I’ve only tried a few on this list, so I think I need to get myself to the grocery store! Well which is your favorite thus far Dianne? Or did I miss one of your favorites? I am so happy to find dairy free frozen desserts on the shelves in the stores. Sometimes I just don’t have time to make it at home. Your recommendations is greatly appreciated. I like the So Delicious, but want to try some of the others. Yes, I definitely recommend branching out a little. They all offer such different experiences. There are so many good choices! Some I haven’t tried yet, but the So Delicious is probably my favorite. My mom is crazy about the Mocha Almond Fudge Coconutmilk dessert. Ooh, I could see that one being popular with coffee fans. What a round-up! Somehow I find the dairy-free ice creams I’ve been able to try a little too sweet for me. Perhaps its because they are trying to mask some of the coconut flavour. Still better than nothing though! Yes, I agree with you. I’m posting a sorbet list later this week that might appeal to you more, as there are some creamy, less sweet options. I love that there are so many dairy free ice creams now. For me, the least amount of ingredients the better. I also prefer a coconut base – it’s creamier and I have less issues with allergies. I could see that – very rich and fulfilling too. That is such a neat brand! 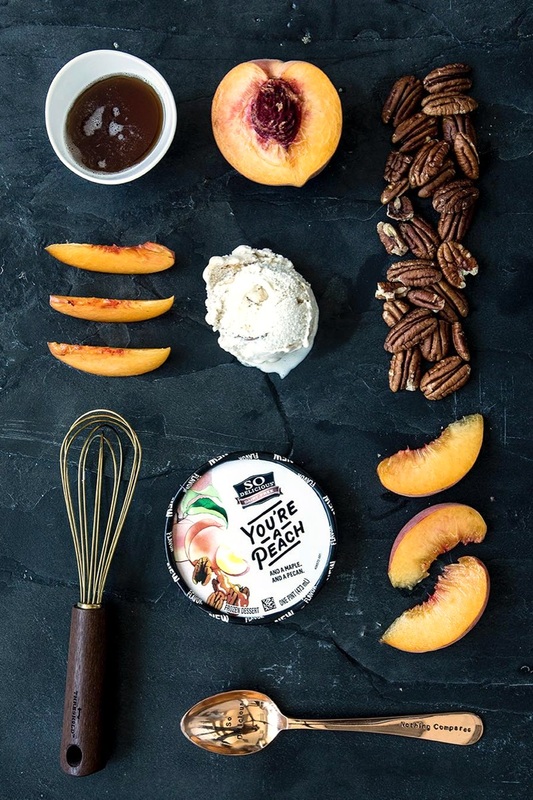 I had no idea So Delicious made a peachy maple pecan flavor! I’ll have to look for it and that caramel cafe pint of Perfectly Free. Yum!! It’s one of their new flavors, and it’s so unique but really good! Thanks for such a comprehensive review and for including Canada! I tried a lot of the different flavors of Stevie’s Ice Cream and I thought a lot of the flavors are nasty. I did like the lemon blueberry ice box cake flavor, because there is a lot of flavor in the one flavor of ice cream. Definitely the SO Delicious Cashew milk Ice Creams!! Especially their Bars! OMG! Totally agree. I just had their salted caramel bar for the first time and it is AMAZING! I don’t miss the dairy at all! That’s a hard choice! For versatility, I’d say So Delicious Vanilla Cashewmilk. But for eating, the Ben & Jerry’s flavors are just spot on, especially the PB & Cookies and the Caramel Almond Brittle. I have to agree – that vanilla cashewmilk is a go-to around here!